Videantis plays a key role in the automotive market, with millions of cars already on the road that include videantis processors. Automotive advanced driver assistance systems (ADAS) use deep learning and computer vision technology to making cars autonomous, safer and more comfortable to ride. Self-driving vehicles use cameras and computer vision for applications such as object detection, pedestrian detection, lane detection, forward collision warning, and traffic sign recognition. In addition, the Euro NCAP assessment program awards star ratings based on such camera-based safety systems. 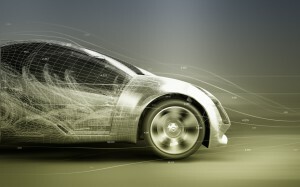 Algorithmic advances as well as legal regulations further foster the adoption of multiple cameras or other sensor systems per car for safety purposes. 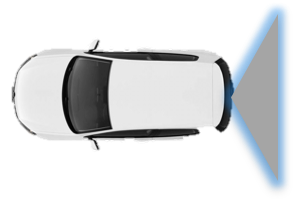 Automotive safety solutions based on the videantis platform benefit particularly from the abundant image and video processing performance, the flexibility and upgradeability, and the extremely low power consumption. This makes advanced image processing feasible even inside the camera module. Specialized low-delay and high dynamic range video coding solutions from videantis for automotive Ethernet further reduce data transmission and system cost. Self-driving vehicles must sense their environment to safely navigate without human input. It’s a tremendous compute task to analyze all the data coming from several cameras, radar, and lidar sensors in real-time. The videantis processing architecture scales to extreme performance points to address these autonomous vehicle applications by providing an ultra-efficient deep learning and visual computing platform. The videantis v-MP6000UDX processor can be used for mono, stereo, or multi-sensor, front-facing ADAS cameras. The v-MP6000UDX subsystem can be used in surround view camera systems. The processor can be integrated into SOCs inside the camera module, or in the ECU that combines multiple camera views into a single view. For rear-view camera systems, the v-MP6000UDX subsystem provides a low-cost, low-power solution that can do both analytics, image processing, and video coding for Ethernet cameras that lower cabling and integration cost. Wing and interior mirrors will be replaced by digital cameras. 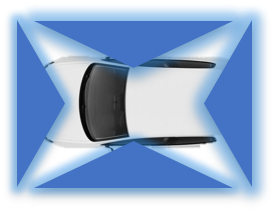 This has the advantage of giving the driver a wider field of view and can be combined with driver assistance functions. Additionally, these systems give drivers better visibility in poor light and rain and reduces vehicle fuel consumption due to reduced drag. Camera-based driver monitoring keeps an eye on the driver to ensure she’s alert, actively monitoring the road ahead, and not distracted. When there are signs of drowsiness or distraction, the system will signal the driver, for instance by sounding an alarm, or even handover the control of the vehicle to the automated driving system. Such systems combine vision algorithms to perform face detection, face analysis, eye tracking and blinking, and even face recognition. The latter can be used for driver identification, allowing the car for instance to personalize settings. Most driver monitoring systems have multiple cameras to ensure their view of the driver is never blocked. Of course, for insurance purposes, the cameras can be used to record and store video also. Safety standards play a crucial role in bringing automotive products to market. 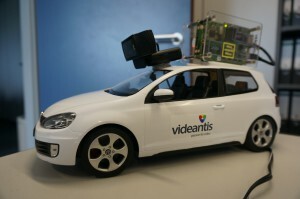 The videantis processor IP enables millions of cars on the road already. Our technology is ready for integration into systems that require compliance to safety standards such as ISO 26262 or MISRA. 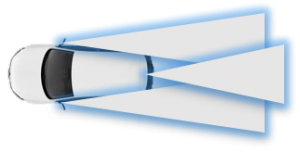 The new 100BASE-T1 and 1000BASE-T1 automotive Ethernet standards brings low-cost twisted-pair wiring to the car, replacing expensive coax or LVDS cabling for cameras or displays. 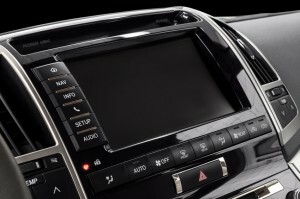 The technology is used to connect surround or rear cameras to the head unit or surround view ECUs. 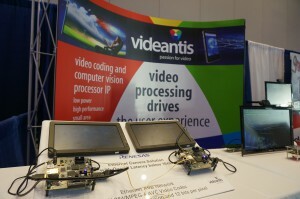 Videantis provides two technologies for automotive Ethernet: low-delay, high-dynamic range codecs, as well as ADAS algorithms that can run inside the camera module, on the original images, before video compression for transmission. For displays, Ethernet can be used to transmit images from head unit to the instrument cluster, or displays in the back. Together with VISCODA, we developed our structure from motion implementation. Structure from motion is a technique that extracts depth information from a single standard camera on a moving car. One unique feature of the solution is that the demanding ADAS algorithms don’t run on a high-end multicore CPU/GPU combination in the dashboard. Instead, the algorithms run on a very small, low-power videantis processor integrated inside the camera. Such a setup has two distinct benefits. First, with each camera that is added to a car, the available compute power increases, so the number of cameras will never create a processing bottleneck. Second, the system seamlessly integrates with automotive Ethernet, which significantly reduces cabling cost in the car. The automotive market has highest requirements on future-proofness and long-term availability of components. This contrasts with the short development cycles typical for modern multimedia devices. Therefore, car multimedia applications can particularly benefit from the flexible and field-upgradeable videantis solutions as existing devices with videantis IP integrated can easily be updated by firmware to support the newest multimedia compression standard.